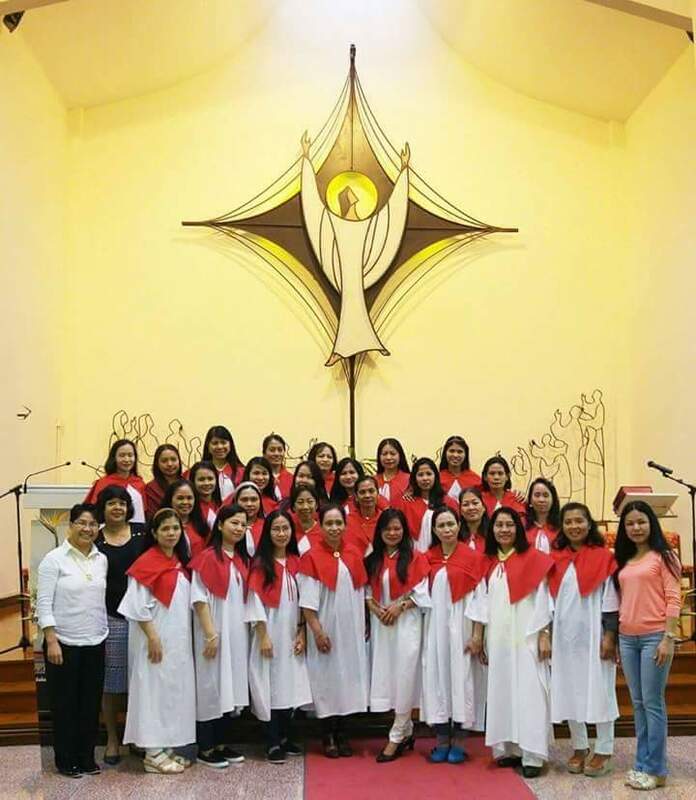 IN 1987, with the guidance of the Holy Spirit, St. Alfred English Choir was formed by Filipinos, two Pauline nuns, Sr.Elena (deceased) and Sr. Dominic, and one Franciscan nun, Sr.Maurene. The choir was led by Miss Ofelia Tulay. St. Alfred English Choir currently consists of mainly Filipinos. Our pianist is Jean Samarasekera from Sri Lanka. We serve in the 9:00 English Mass on Sundays and in the Tagalog Mass every 2nd and 4th Sunday of the month. At present there are 38 active members, and we would like to welcome those interested to join the group.